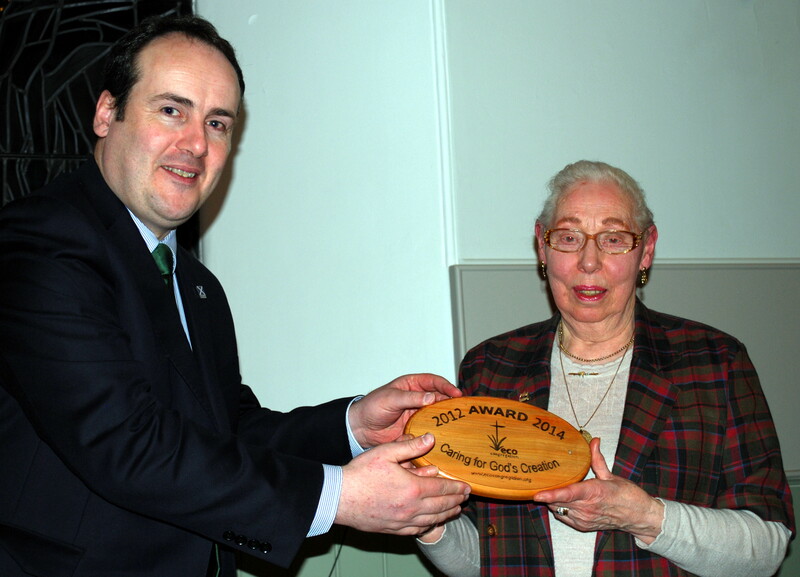 On Thursday 17th January, Paul Wheelhouse MSP, Scottish Government Minister for Environment and Climate Change, visited Carlops church to present an Eco-Congregation Scotland award to the congregation. Carlops Church won a third award for its environmental work. The church won the independently assessed award for three core reasons. Firstly, it has developed strong relationships with people living in the parish, both church members and is an outstanding example of community engagement. An example of the strong links was demonstrated through the Carlops Kitchen project raising money for Mary’s Meals. Secondly, the support that Carlops church has shown for other churches by leading the Esk and Tweed network and by supporting national events was a crucial requirement for the third award and members had clearly made an impressive contribution. Finally, the group’s passion for the work has been matched by a thoughtful and considered approach. This combination has led to effective action and is a model of good practice for other congregations to follow. 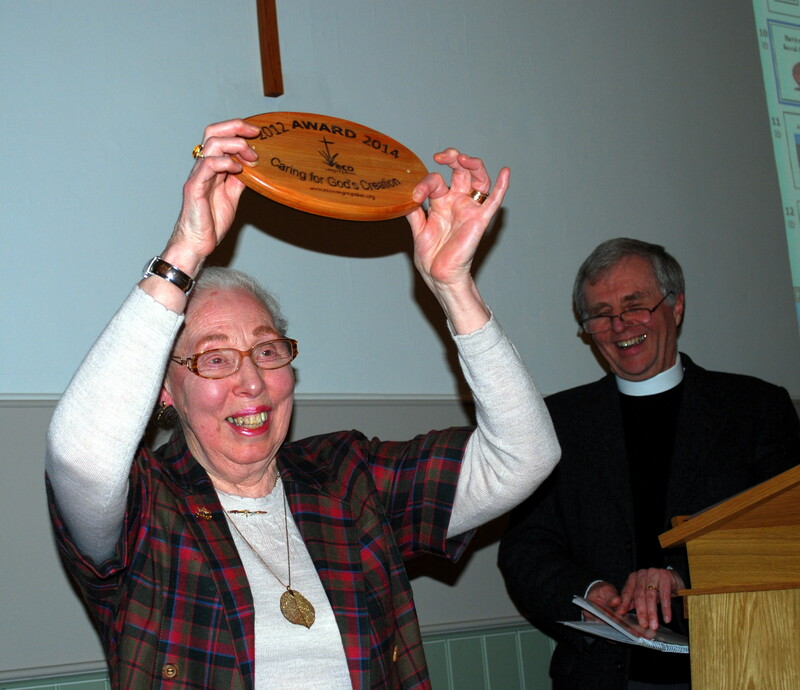 Eco-Congregation Scotland is an ecumenical charity, which helps congregations link environmental issues to their faith and to take action in their church and local community. There are nearly 300 Eco-Congregations in Scotland. In addition to providing support and advice on environmental issues and providing an environmental audit of the church, Eco-Congregation Scotland offers a programme to enthuse and equip churches to weave environmental issues into their life and mission in an enjoyable and stimulating way. Climate Challenge Fund grants; £10.3 million available per year until March 2015.